Five of electric utility’s eight senior managers also are women. Omaha, who owns a small business, and Janece Molhoff of Ashland, Nebraska, who retired as a colonel in the Army Reserve. They made January’s board meeting “historic,” McGuire said. This entry was posted in Nebraska / Midwest News and tagged Amanda Bogner, Anne McGuire, Janece Molhoff, OPPD Board of Directors on February 3, 2019 by Helen Deffenbacher. 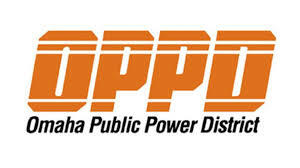 Under pressure to reject a rate restructuring that would increase bills for customers who use less electricity, Omaha Public Power District officials will modify their plan in an attempt to address concerns. 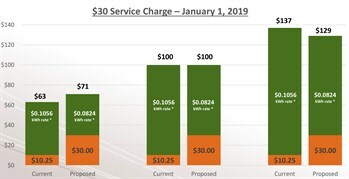 The OPPD board is set to vote Dec. 17 on a proposal to raise the flat monthly service fee for the district’s 355,000 residential and small commercial customers while lowering the rate charged for actual use. Read more here. Omaha Together One Community (OTOC) will hold a public meeting tomorrow night that will include a panel of OTOC and OPPD representatives, including OPPD President, Tim Burke and Board President, Anne McGuire. Details are available here. This entry was posted in Nebraska / Midwest News, NewsBlog and tagged businesses opposed to OPPD's rate restructure, Cody Winchester, Omaha Together One Community (OTOC), Omaha World Herald, OPPD Board of Directors, OPPD Board President Anne McGuire, OPPD President Tim Burke, OPPD's rate restructure's impact on the poor, OPPD's rate restructuring proposal, organizations opposed to OPPD's rate restructure, Utility Dive on December 9, 2015 by Helen Deffenbacher.